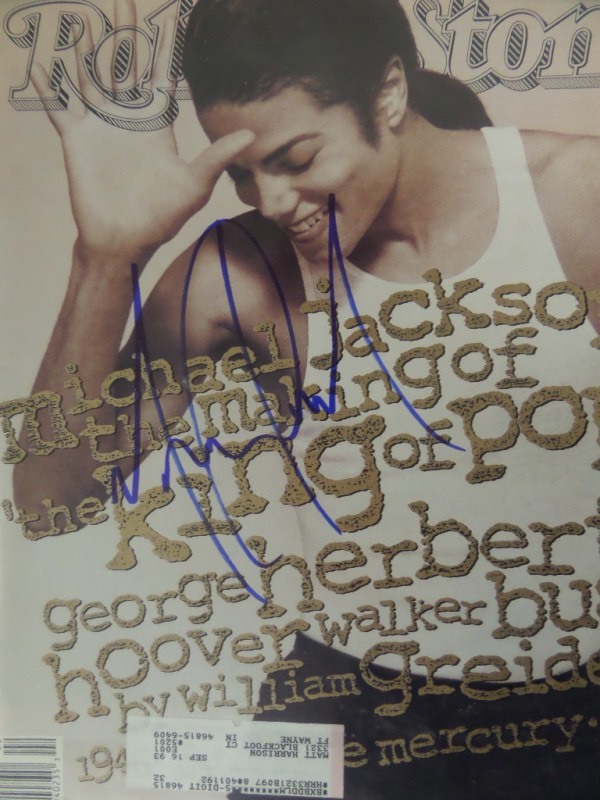 Coach's Corner - Michael Jackson hand signed 1992 Rolling Stone magazine! Go Back to Lot List Michael Jackson hand signed 1992 Rolling Stone magazine! This original January 9, 1992 full issue of Rolling Stone shows a black and white image of Michael Jackson, and comes hand-signed in blue sharpie by The King Of Pop himself. This is a huge signature, grading a legible 8, and with his death now nearly a decade ago, retail is well into the hundreds!